Icahn School of Medicine at Mount Sinai is creating a new research center called the Ronald M. Loeb Center for Alzheimer's Disease, with the help from a recent $15M gift. This is as invitation for life science research product companies to participate in this event and to introduce and demostrate their newest technologies to this marketpalce. A limited number of exhibit spaces is still available for this event. 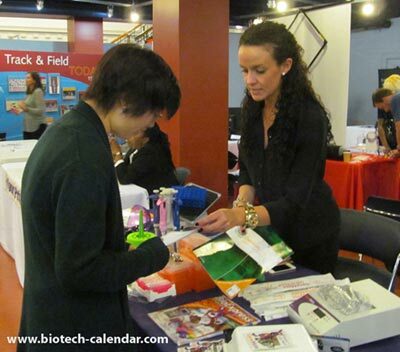 Contact Biotechnology Calendar, Inc. now at 530-272-6675 to reserve a space and meet with over two hundred Icahn research professionals interested in your products and services.